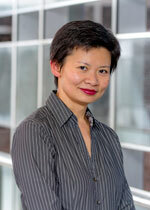 Prior to her academic career, Dr Xiaomeng (Charlene) Chen worked in business analyst role for Telstra and Optus. Charlene's research focuses on financial analysts' earnings forecasts. She also has research interests in financial reporting, disclosure regulation and corporate social responsibilities. Her work has been accepted for publication at Abacus, Accounting and Business Research, and Accounting Research Journal. Charlene’s research has an impact on the national regulator and professional accounting bodies. She was invited to present her research findings at The Australian Securities and Investments Commission (ASIC), and was recently awarded a research grant from 2016-2017 CPA Australia Global Research Perspective Program. She teaches financial accounting and financial statement analysis at undergraduate level. 2011 - Outstanding Paper Award from the Accounting Research Journal for the paper titled "Australian Evidence on the Accuracy of Analysts' Expectations: The Value of Consensus and Timeliness Prior to the Earnings Announcement". Chen, X., S. Wright, and H. Wu. 2018. “Exploration Intensity, Analysts’ Private Information Development and Their Forecast Performance.” Accounting and Business Research 48(1): 77-107. Choi, K., X. Chen, S. Wright, and H. Wu. 2014. “Analysts’ Forecasts Following Forced CEO Changes.” Abacus: A Journal of Accounting, Finance and Business Studies 50 (2): 146-173. Chen, X. 2010. “Australian Evidence on the Accuracy of Analysts’ Expectations: The Value of Consensus and Timeliness Prior to the Earnings Announcement.” Accounting Research Journal 23 (1): 94-116. Last Updated: 2017-12-19 09:58:28 by Unknown LDAP User.